El-Sayed Yassin, Former Director of Al-Ahram Center for political and strategic Studies, gave a lecture at Zewail City on 10 November 2013. 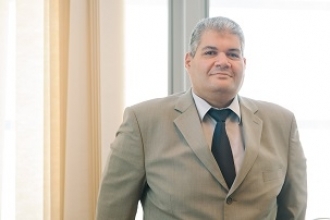 Cairo, 30 October – Sherif El-Khamisy, Ph.D., Professor of Biochemistry and Molecular Genetics, Director of the Center for Genomics (CG) at Zewail City of Science and Technology has been elected as a Fellow of the Royal Institute of Preventive Medicine. El-Khamisy was elected from 164 nominees to be the first Egyptian and Arab scientist who receives such an international recognition. 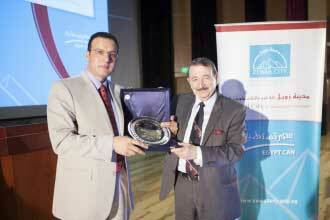 Cairo, 8 October - Ibrahim El-Sherbiny, Ph.D., Associate Professor of Nanomaterials Science, University of Science and Technology at Zewail City of Science and Technology has received Dr Venice Kamel Award for Scientific Creativity for Young Researchers in the field of Materials Science and its Applications. This award is offered to those who produce research of outstanding scientific value and have demonstrated rigor in the research and originality, it stresses on applied research in subjects related to development issues and solving societal problems. Cairo, 8 October - Salah Obayya, Ph.D., Professor of Photonics and Director of the Center for Photonics and Smart Materials (CPSM) at Zewail City of Science and Technology has received the State Award for Academic Excellence in Engineering Sciences. Obayya has been awarded for his work published in one of the most cited international journals: Institute of Electrical and Electronic Engineers (IEEE) journal. Renowned psychiatrist and Zewail City Founding Supreme Advisory Board member Professor Ahmed Okasha visited Zewail City and gave a talk about ethics in scientific. 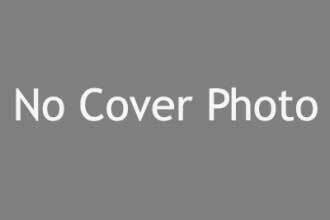 He touched upon inspiration, putting in efforts, anger management and looking forward to fulfilling dreams and ambitions. 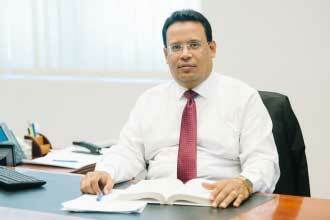 Okasha also pointed out the role of each individual in the society and the role they play. 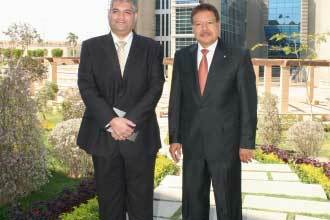 The pioneer Nanosciences Professor Mostafa El-Sayed visited Zewail City of Science and Technology in 29 September 2013. 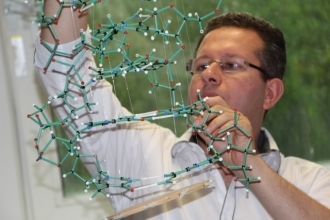 He gave a lecture to The University of Science and Technology students about his recent research in using gold nanopatrticles to cure cancer. Professor Sherif Sedky, Founding Provost and Acting President of the City, honored El-Sayed by giving him the City shield of honor for his remarkable scientific achievements and his great support for Egypt’s National project For Scientific Renaissance. In recognition of Professor Zewail’s contributions and role, the Secretary General of the UN has invited him to become a member of a Scientific Advisory Board. The creation of the Board was one of the recommendations from the High-level Panel on Global Sustainability , which was formed in the lead-up to the United Nations Conference on Sustainable Development (Rio+20) held in Brazil in June 2012. Professor Salah Obayya, Director of Center for Photonics and Smart Materials at Zewail City of Science and Technology, wins State Award of Excellence in Engineering Sciences. 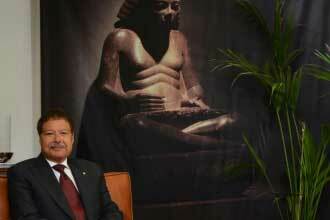 The prize is worth 100,000 Egyptian pounds in addition to a silver medal. 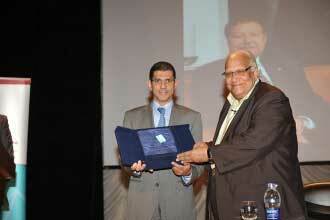 Obayya has won the State Incentive Award for Engineering Sciences in 2005/2006. A new study published in Nuclear Physics B by Dr. Shaaban Khalil, Director of the Center for Theoretical Physics (CTP), and Safinaz Salem, Research assistant at CTP, has been highlighted by Nature Middle East (NME). 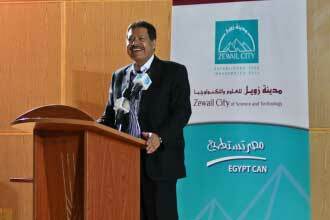 Today witnessed a key milestone in the history of Zewail City, Dr. Ahmed Zewail, Chairman of the Supreme Advisory Board addressed the first cohort of students and their parents through a recorded audio message. He started by welcoming the students and congratulating them on their acceptance at the University after passing the admissions exam which confirmed their outstanding academic skills. 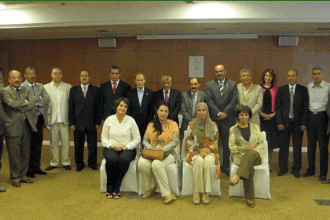 Dr. Nagwa El-Badri, Professor and Founding Chair, Biomedical Sciences Programs, The University of Science and Technology; Director, Center of Excellence for Stem Cell Research and Regenerative Medicine, represented Zewail City of Science and Technology in the Preparatory Committee Meeting for the Arabic Forum of Scientific Research and Sustainable Development, that held in Tunisia, 22-23 August 2013. Yesterday marked an important day in the history of Zewail City, 1000 applicants sat for The University of Science and Technology admission exam. A new study published in Physical Letters B by Dr. Shaaban Khalil, Director of the Center for Theoretical Physics, has been highlighted by Nature Middle East (NME). The study, titled “TeV scale leptogenesis in B−L model with alternative cosmologies”, discusses how string theory can explain the presence of an unknown particle right after the Big Bang that allows there to be more matter than antimatter, effectively making the universe full of stars and planets. The Letter of the Admissions Examination has been sent to the top 1000 applicants selected in descending order according to their academic credentials. 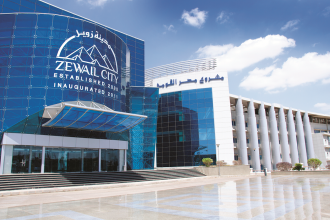 If you have any inquiries kindly send your email to admission@zewailcity.edu.eg before Monday 19 August, 2013 to check your file and reply to your inquiry. Best of luck to all applicants.